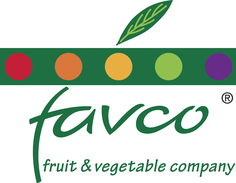 Favco was established in July 1999 as a joint venture between two experienced fruit and vegetable marketing families. Located in the Brisbane Fruit and Vegetable Markets, Favco is ideally situated to service the individual requirements of a variety of clients. Favco supplies major supermarket chains and independent retail groups as well as secondary wholesalers, the food service/hospitality industry and export customers. Securing such a strong customer base is integral to the success of the Favco business. It means that Favco is in a position to market entire crops of produce, allowing Favco's growing/supply partners the freedom to concentrate their efforts on continuing to produce the high standard of produce that has made them industry leaders. A networked grower base provides Favco with a spread of growing districts to ensure the uninterrupted supply of our key product offerings throughout the seasons. By doing this Favco is able to simplify the management of these product categories for buyers by providing a dependable supply solution throughout the year. This in turn assists in strengthening the product category at a retail level by creating consumer confidence through consistent quality and availability. It is an integrated approach, ensuring that Favco is able to deliver on its goal, Mutual success!